Learn about some of POST’s most notable achievements, including land acquisitions that make a substantial impact on our region and stewardship projects that highlight the extensive care we put into our local ecological health. Be the first to know about the high-profile guest speakers to appear in our annual Wallace Stegner Lecture series. Here is where you’ll find POST news on major projects, events and more. Ken Yeager brings extensive public service experience and environmental policy work to POST as a new board member. Innovative project protects pristine redwood habitats for endangered species and bolsters viability of sustainable local timber industry. Activist Dr. Vandana Shiva, wildlife photographer Joel Sartore and CNN commentator Van Jones to appear as guests for POST's 2019 Wallace Stegner Lecture Series. Today the Peninsula Open Space Trust (POST) announced the purchase of 204 acres of hillside land near El Granada. Peninsula Open Space Trust (POST) announced the selection of Marti Tedesco as its new senior director of marketing and communications. Zimbabwean rancher and biologist Allan Savory will launch this year’s Wallace Stegner Lectures presented by Peninsula Open Space Trust (POST). 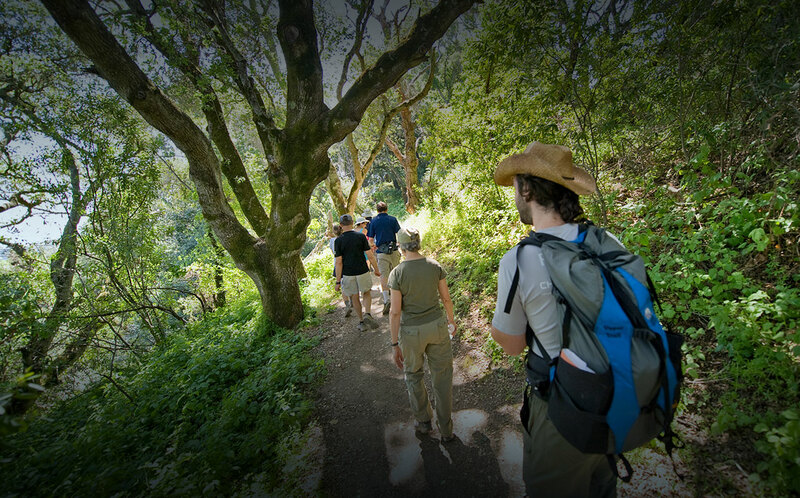 Peninsula Open Space Trust (POST) announced it has appointed two new members to its Board of Directors: Merus Capital co-founder Sean Dempsey and marketing consultant Kim Young. Peninsula Open Space Trust (POST) announced an agreement with the Midpeninsula Regional Open Space District (MROSD) to place a conservation easement on POST’s 353-acre Alpine Ranch property in La Honda. The San Mateo County Resource Conservation District (RCD) and Peninsula Open Space Trust (POST) announced the completion of restoration work on six ponds on POST’s 5,970-acre Cloverdale Coastal Ranches property in Pescadero. Peninsula Open Space Trust (POST) will host an exciting evening with world-renowned chef, farmer, author and local food advocate Dan Barber on March 9 at the Mountain View Center for the Performing Arts. Peninsula Open Space Trust (POST) announced its purchase yesterday of 21 acres along Pillar Point Bluff in El Granada.